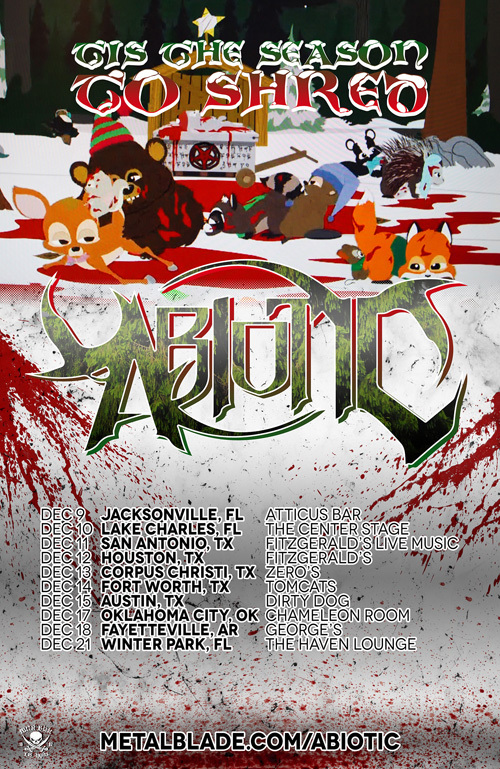 South Florida’s ABIOTIC will be embarking on a short tour of the southeast in December. The “Tis the Season to Shred” tour will begin in Florida and spend a few days in Texas before visiting Oklahoma and Arkansas. The confirmed list of dates can be seen below, as well as on facebook.com/abioticfl. Recently, a video of drummer Aaron Stechauner performing the brand new track, “Perceptive Impurity,” was posted to youtube, and can be seen now HERE. Abiotic’s most recent album, “Symbiosis,” is available worldwide now.